A comprehensive review of the new Campaign Book Volume 2 expansion from Mark Jackson is now available from Opinionated Gamers. The short version: “I love it!”. 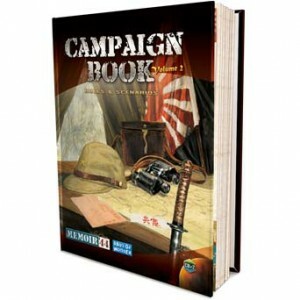 For the long form, read the Campaign Book Vol 2 review yourself. This entry was posted on Tuesday, February 7th, 2012 at 19:15 and is filed under Blogroll, Memoir'44, Miscellaneous, News. You can follow any responses to this entry through the RSS 2.0 feed. Both comments and pings are currently closed.